Finally, a warm and sunny weekend here in NE Ohio! I’m heading outside in a minute to get back to work stripping horse stalls and working in the garden. Although the space devoted to the new garden is a decent size, it is not overly huge. It measures approximates 32′ x 46′ – but a good chunk of that will be devoted to growing and propagating landscape plants, in addition to vegetables. In order to maximize production in this space, I’m currently working on a succession planting plan for the upcoming growing season. If you aren’t familiar with this concept, succession planting is a great way to get the most out of your available garden space. Succession planting involves growing the same or complementary crops in the same spot continuously throughout the season in order to maximize the yield a garden can produce. In other words, succession planting combines the efficient use of space and timing to obtain better results. Of course, I made sure to keep the garden weeded and watered – but I didn’t have any sort of a game plan as far as planting again throughout the season. Unfortunately, following this one-off approach to planting meant periods of feast or famine in terms of my harvest throughout the season. I was either buried in too much produce – or waiting for something – anything – to ripen. Don’t be like me. If you want your garden to produce an abundant supply of fresh produce all season long, you need to plan ahead for it. Although the number of variables involved in succession planting can seem a little intimidating at first, don’t let that discourage you. It takes some practice, but you can definitely get the hang of it. If you are just starting out, choose only one or two beds or containers to practice in your first year. Also, take detailed notes in your garden journal throughout the growing season so you know what worked – and what didn’t – when next season rolls around. Don’t skip this step – it’s next to impossible (for me, anyway) to remember little details from one growing season to the next! Before you start digging in the dirt, you’ll want to have a good idea of what you plan to grow. Start by making a list of which plants you want to grow in your succession planting area. As you are compiling this list, make sure you note the correct variety of each plant, because there is a lot of diversity among different varieties of the same plant species. The back of seed packets and garden catalogues are great starting points for this exercise. Once you know what you’d like to grow, decide if you want to focus on growing the same crop throughout the season or if you want to try inter-planting more than one variety. (Lettuce and herbs like basil and cilantro are great for repeated sowing all season long). 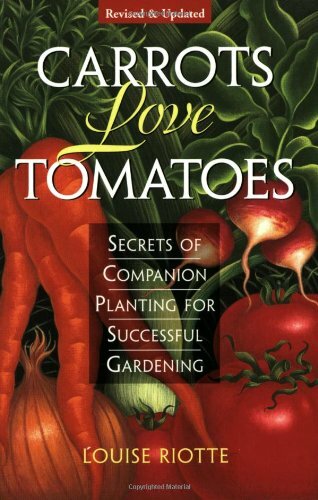 Gardening Tip: If you need more information on companion planting, there are tons of great resources and books available on this topic. The best ones provide a lot of great information to help in your planning process. Online resources are nice, but it’s always good to have a hard copy on hand for future reference. If you haven’t tried succession planting yet, you might find it a little intimidating. However, you’ll be amazed at how quickly you’ll get the hang of it. By applying the principles of succession planting to your own backyard garden, you’ll soon be growing more fresh fruits, vegetables and herbs than you ever thought possible. 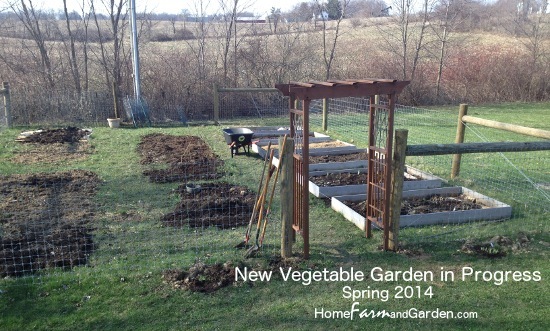 Want to see how the new vegetable garden turns out? Sign up below for periodic updates as it takes shape!